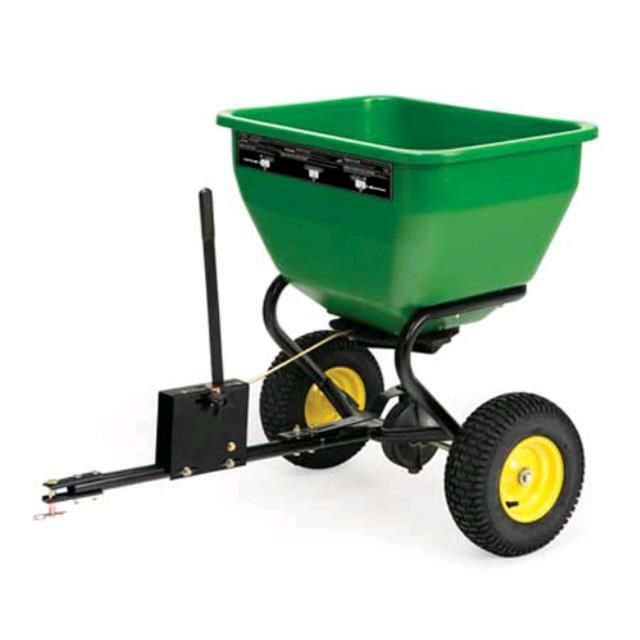 Tow broadcast Spreader with 175lb 3.5 cu ft poly hopper. Has drawbar with pin to be towed behind a riding mower, ATV or tractor. Adjustable flow system and spread 2'-12'. * Please call us for any questions on our spreader 175 lb tow broadcast rentals in Portland OR, Gresham OR, Milwaukee OR, and surrounding metro area.